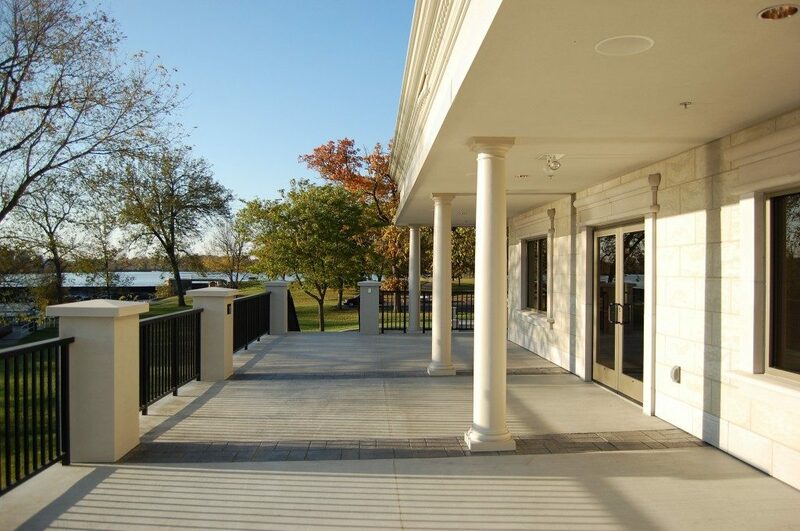 Originally built in 1963 as the Veterans Memorial Building, Veterans Terrace has a vast and varied history serving as a home to the American Legion, the Veterans of Foreign Wars and the Disabled American Veterans. 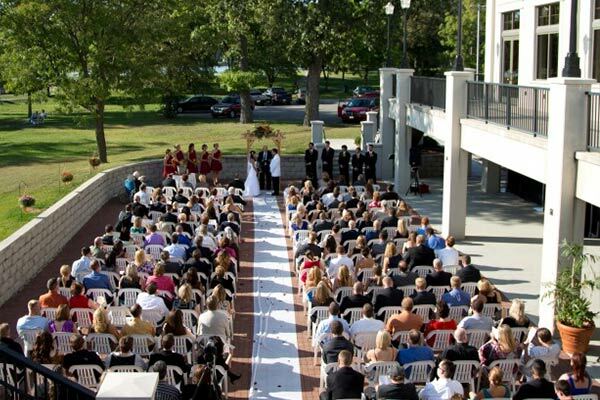 The building has been popular since the very beginning when it first hosted weddings, teen dances, concerts and even jazzercise. That proud, original structure still exists, quietly concealed beneath, between, and within the beautiful new structure that we so proudly call Veterans Terrace. 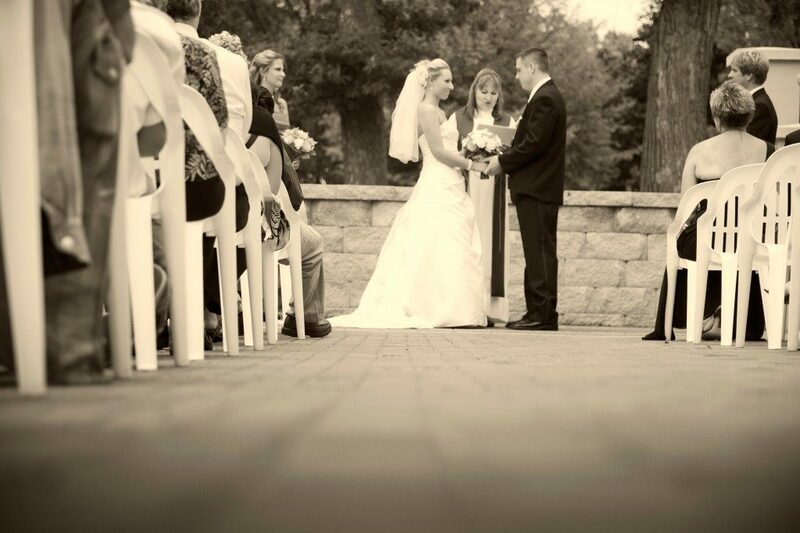 Envision your wedding in our elegant Liberty Hall Ballroom. 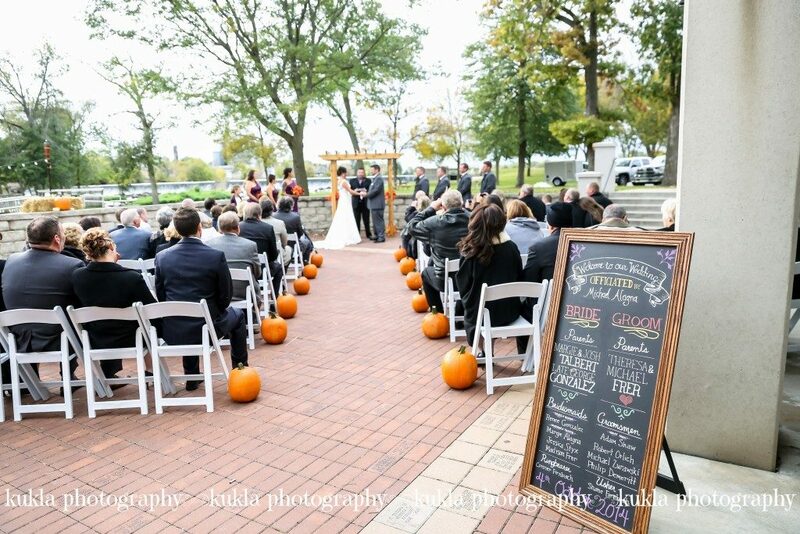 With just under 6,000 square feet of event space lined with oversized windows offering stunning views of Echo Park, the White River, and the glorious sunsets over Echo Lake. Liberty Hall opens onto a second-story veranda, so you and your guests can enjoy the outdoor scenery in both summer and winter. The scene is made even more beautiful with the White River’s water tumbling over the rocks of the Echo Lake dam, which is lit at night with LED lights illuminating the dam in an array of glowing colors. 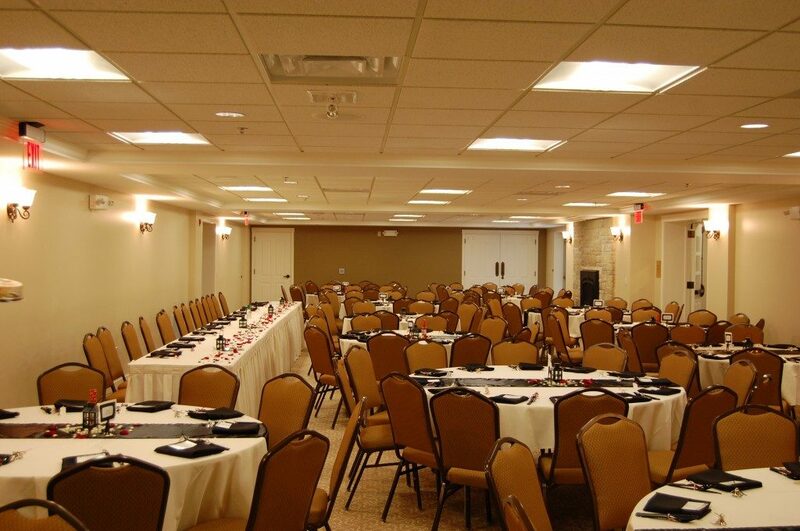 Liberty Hall can accommodate up to 400 guests for a sit-down dinner. 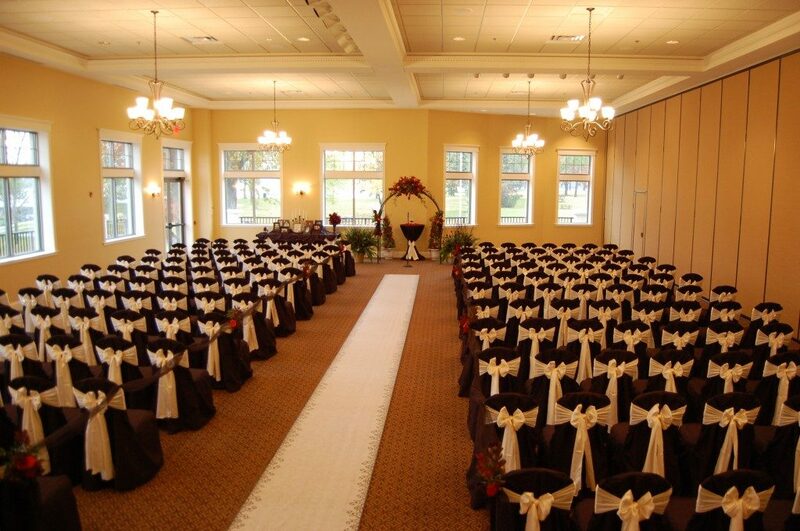 If you are planning a smaller event the room can be divided in half with seating for up to 180 on each side. 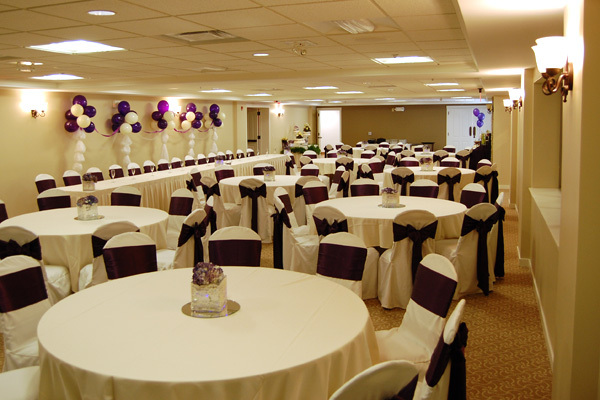 Our experienced staff will help you design and customize the room to accommodate every need for your particular event. 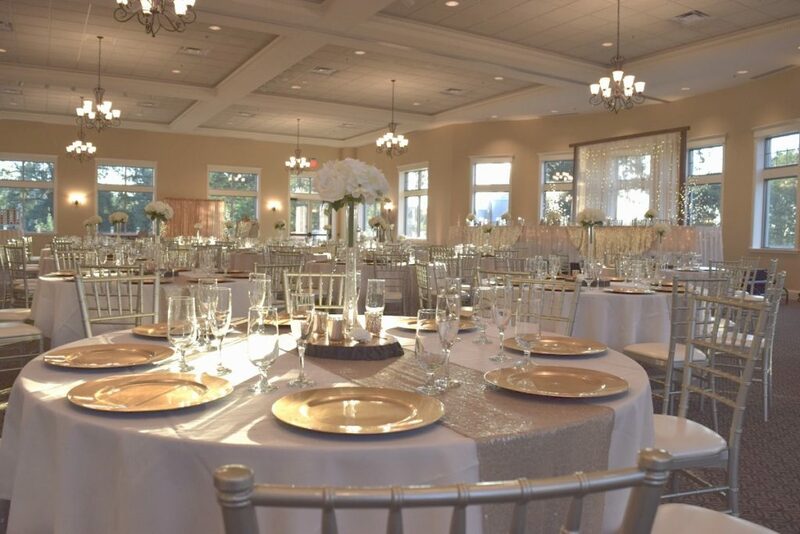 Tables, standard chairs, linens, dance floor, and Event Manager are included in the cost of the room rental. The Stars and Stripes Room on the first floor of the Veterans Terrace is perfect for corporate events such as seminars, workshops, presentations and meetings. 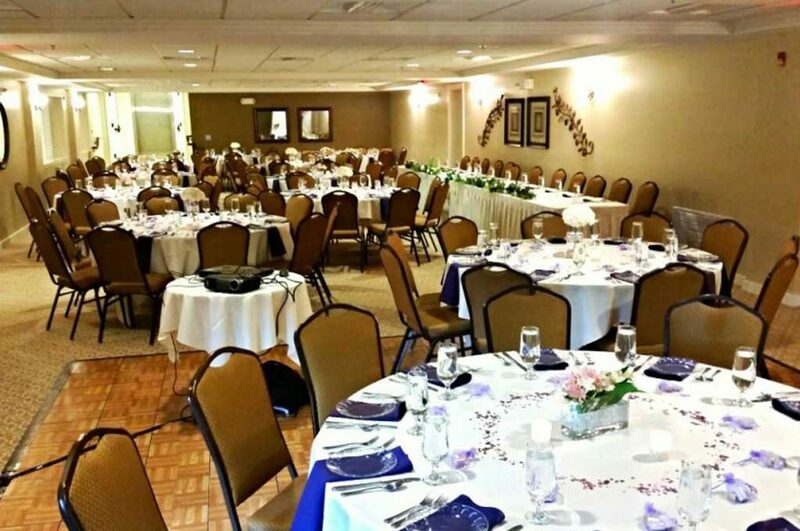 You may also want this smaller room for more intimate gatherings for family reunions, birthdays, anniversaries and memorial or funeral services. 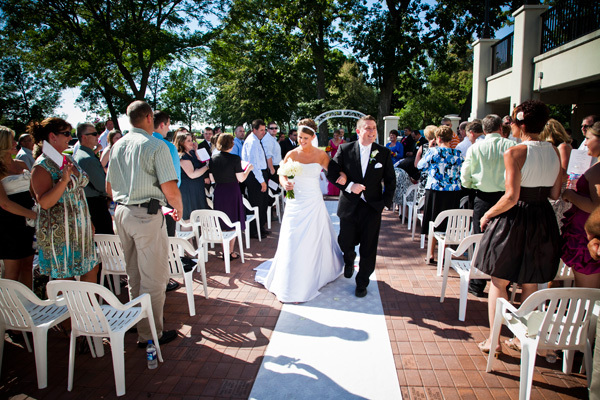 Or it makes a great space for an indoor-outdoor cocktail hour before a wedding reception in Liberty Hall. 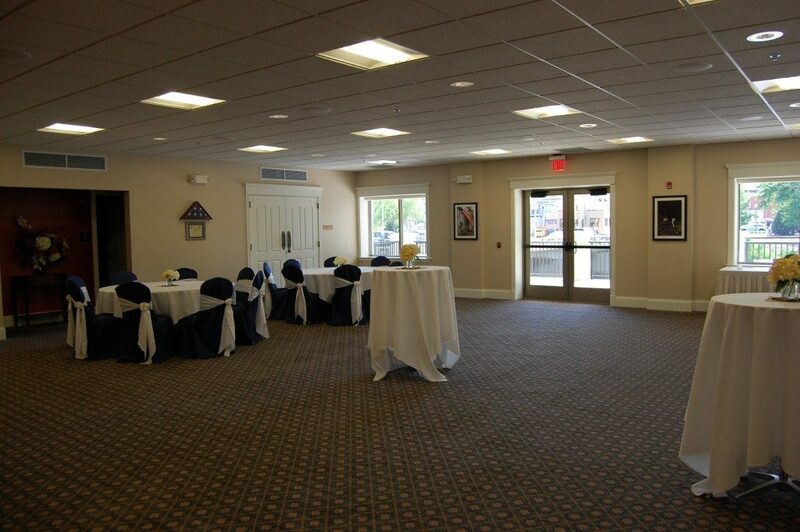 The 1,295 square-foot Stars and Stripes Room measures 37 x 35 and accommodates around 90 guests. 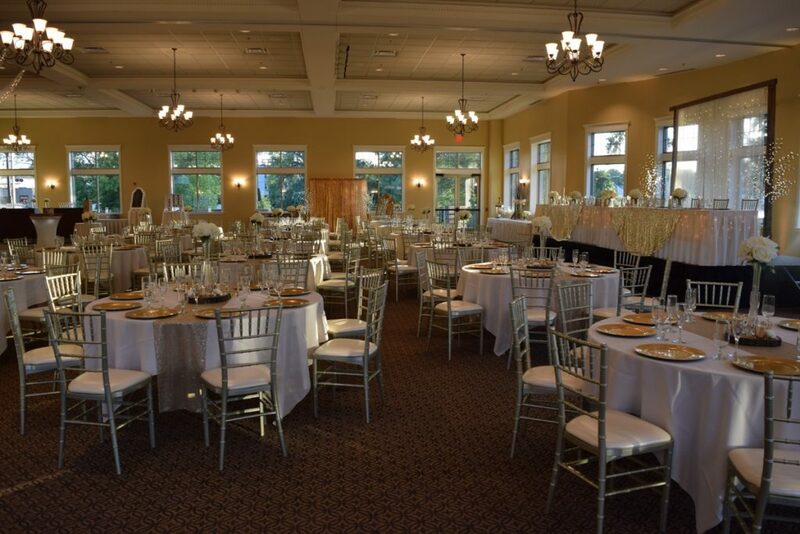 As with all of the Veterans Terrace rooms, the Stars and Stripes room rental includes tables, chairs, dance floor, podium and microphone. 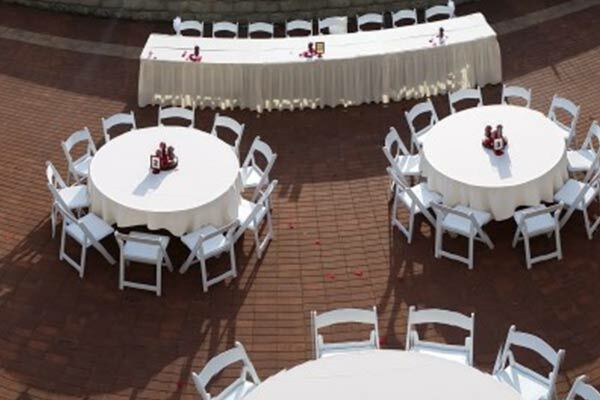 Consider the Veteran’s Terrace for your next corporate function. 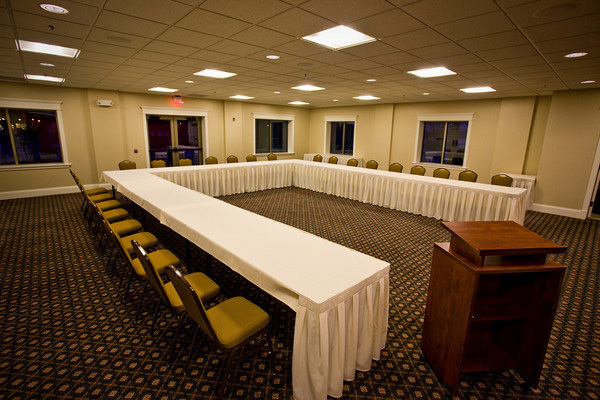 See the Stars & Stripes room set up for corporate meetings! 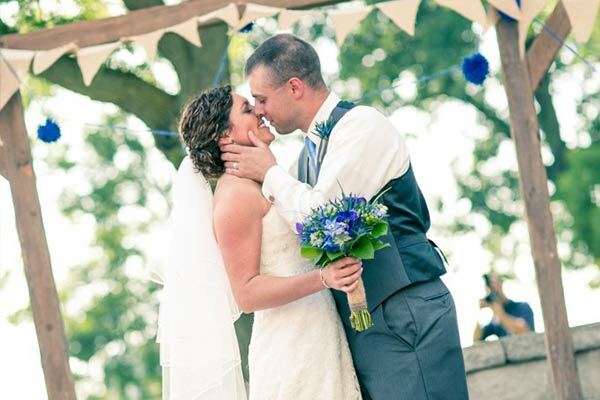 Few areas in the world can boast the beautiful weather of a Wisconsin summer day. 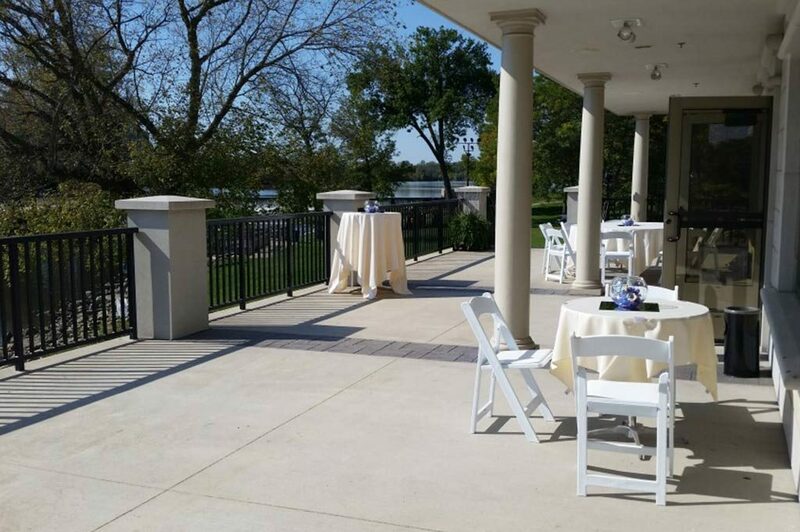 Memorial Terrace has been created to take advantage of Southeast Wisconsin’s long summer days when it stays light well into evening. 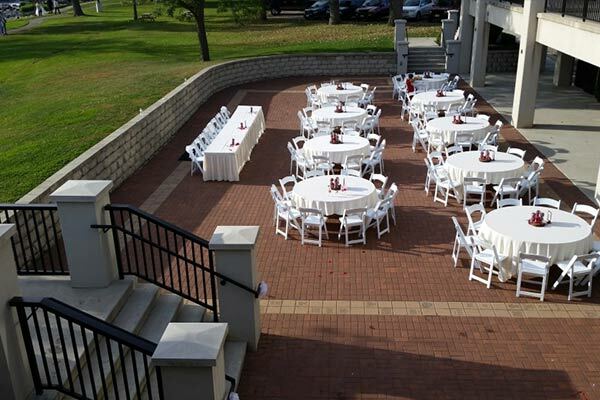 Plan your corporate outing, small wedding or family gathering on this wide terrace overlooking the White River and Echo Lake. Caterers can easily access the Terrace, so plan your meal or appetizers to enjoy our most alluring season among family and friends. 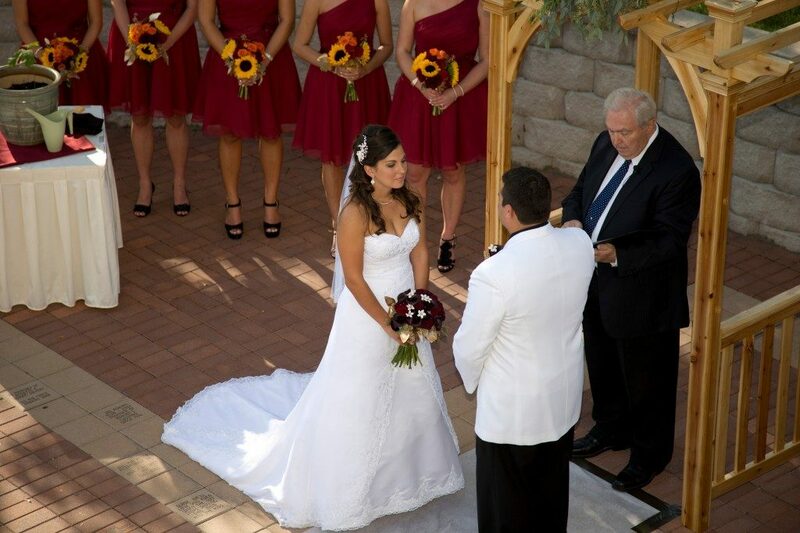 The terrace is also a great location for an outdoor ceremony before a reception in one of our indoor spaces! There’s no better place for community organizations to meet than Patriot Hall on the Lower Level of the building. Handicap accessible, protected parking is just outside the door, beneath Liberty Hall. A cozy fireplace adds ambiance to this community room, which easily seats 125 guests. 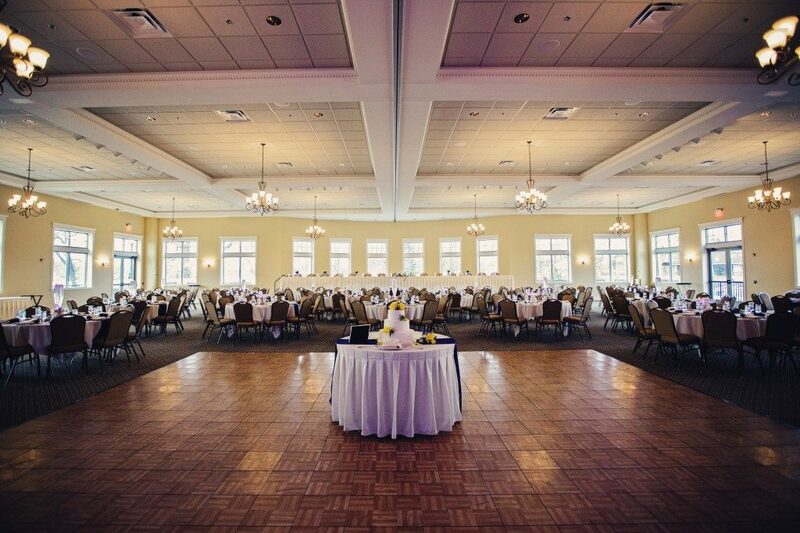 This is also a great room for small weddings, anniversary parties, class reunions, or showers. 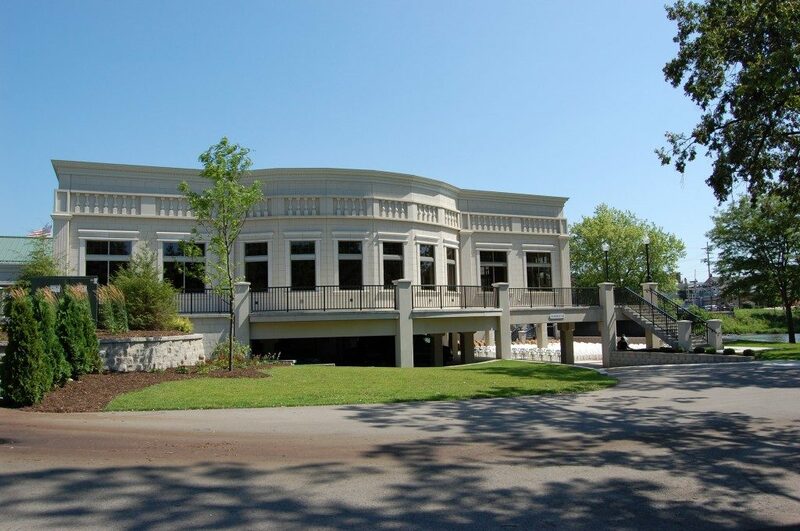 Veterans Terrace at Echo Park is a product of the Burlington Community Fund, a non-profit organization, which executed the renovation and expansion of the original Veterans Building. All Board Members are unpaid volunteers. The facility is managed and maintained by Memorial Terrace Management Group, Inc., which is a subsidiary of the Burlington Community Fund. 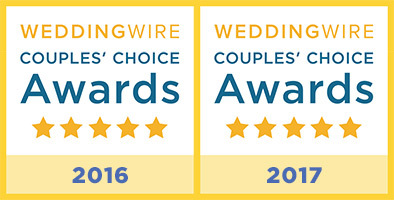 Product of Burlington Community Fund, a 501-c-3 non- profit organization.